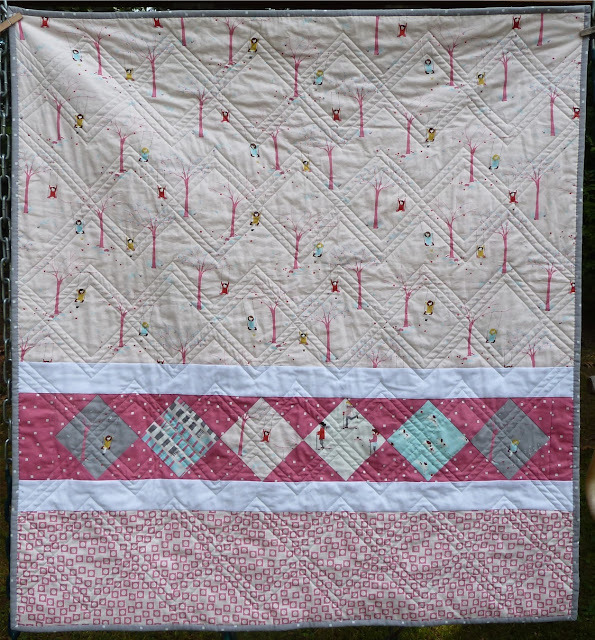 This has been a busy week but I did manage to finish up the Sherbet Pips baby quilt I re-purposed after my failed attempt at a pieced border. I think the quilting really made the design work, especially on the back. Apparently great minds think alike, the amazingly awesome Rita @ Red Pepper Quilts did a very similar quilting design on her mini quilt. 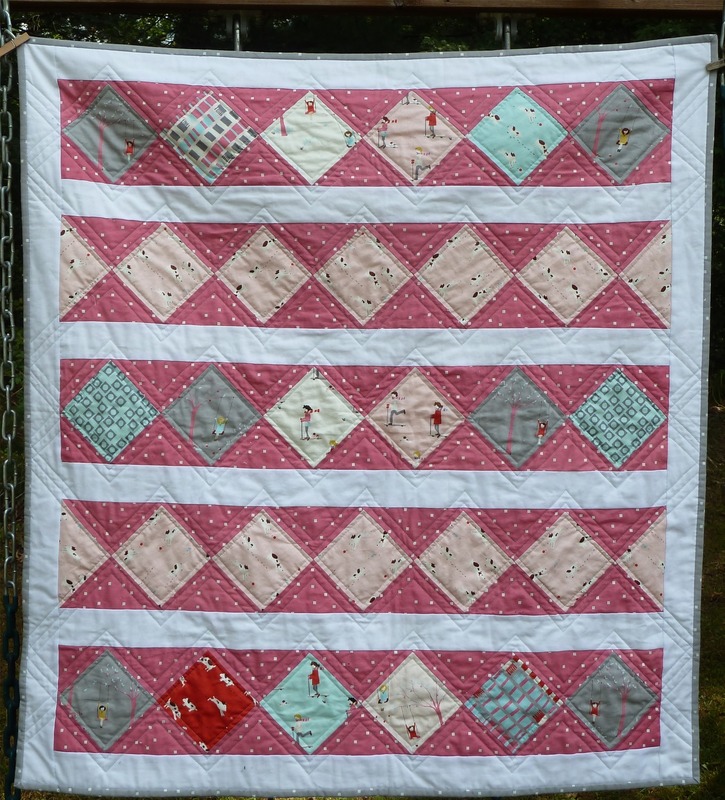 Your Sherbet Pips quilt is just so sweet. And I'm now dying to see your Ghastlie project. I haven't even started mine yet! Gotta get moving! Love the Pips quilt! The quilting is fantastic & I love how it looks on the back. Very cute!